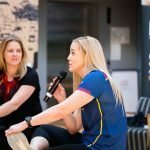 Sunday 23rd September saw the final event in our All Day Event series of 2018: A Sports Life. 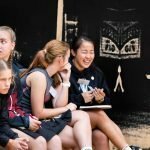 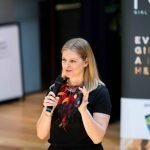 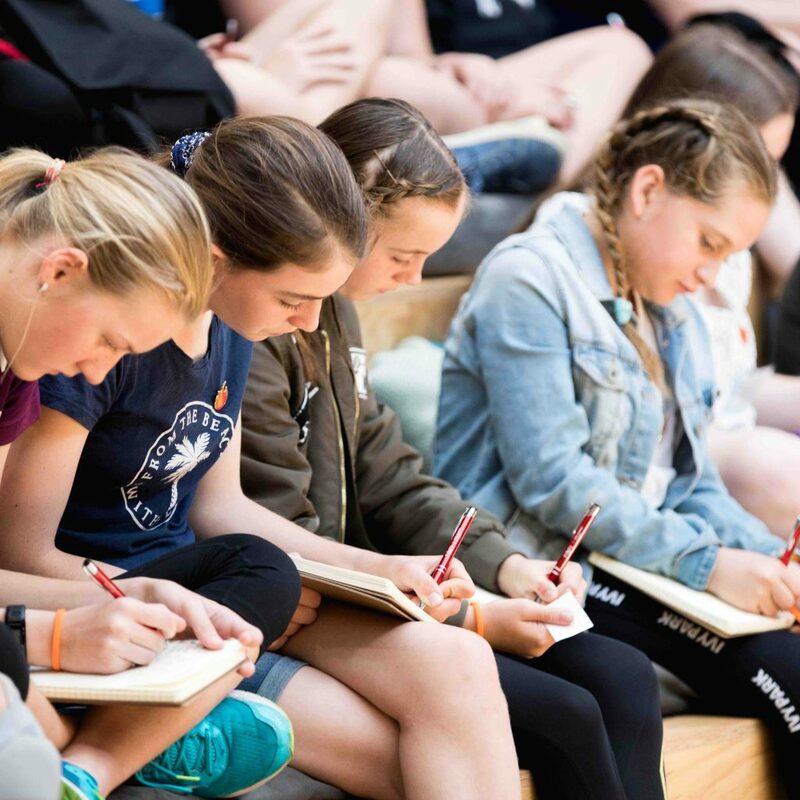 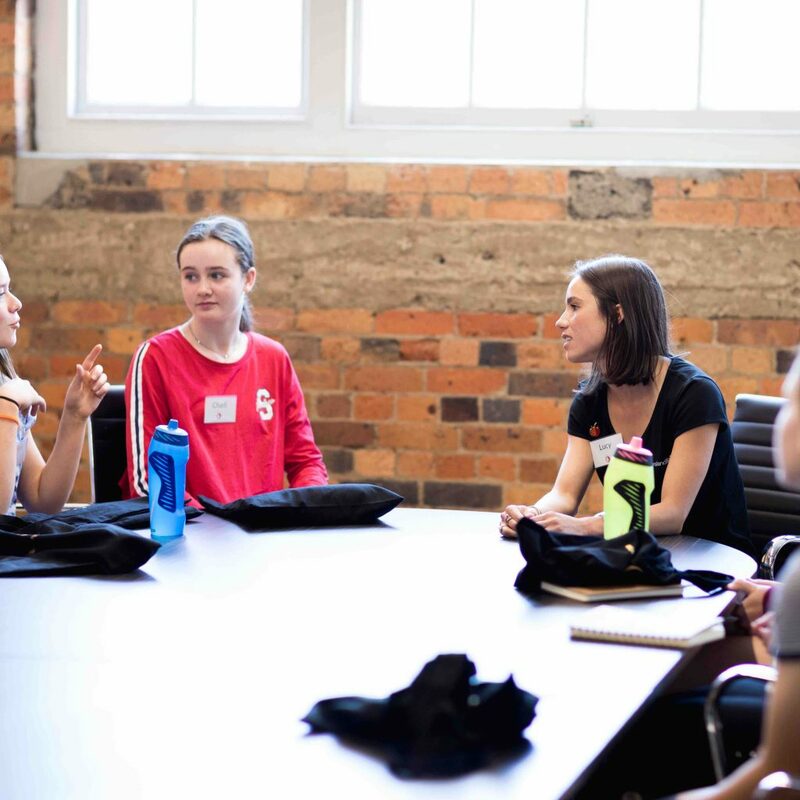 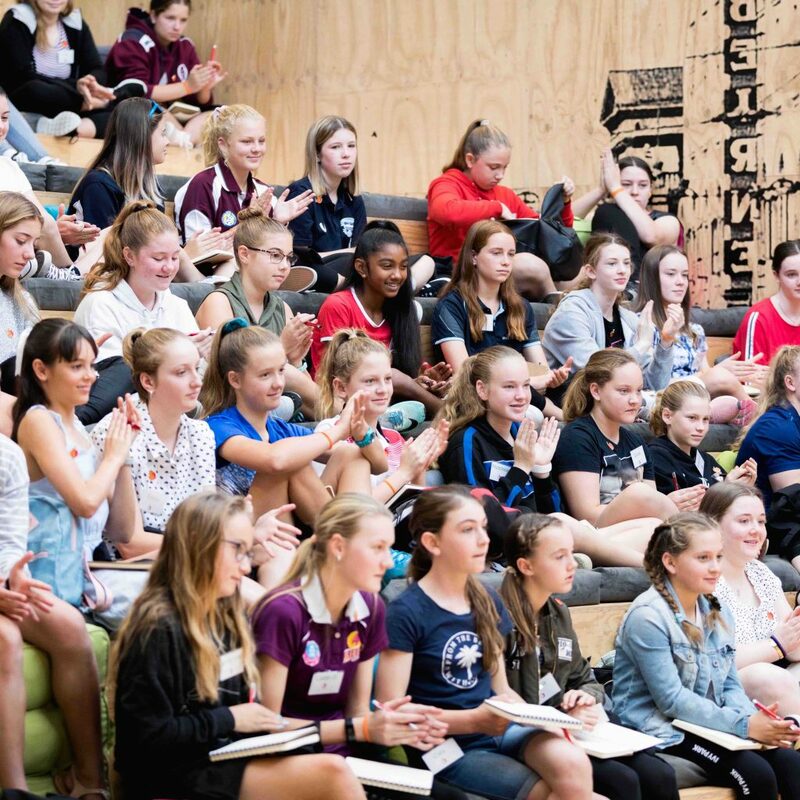 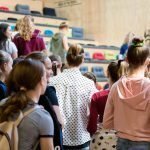 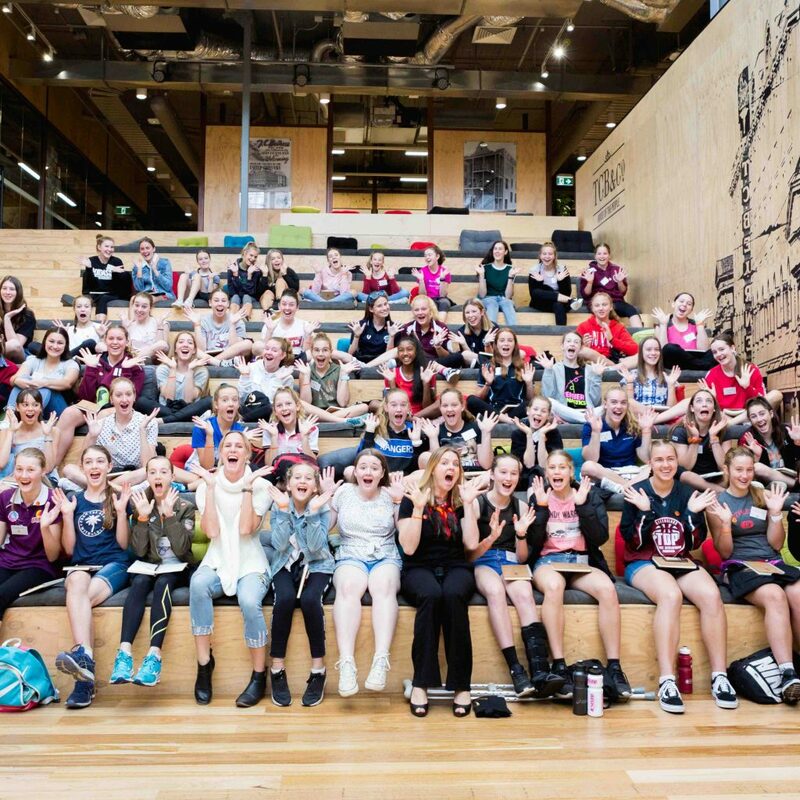 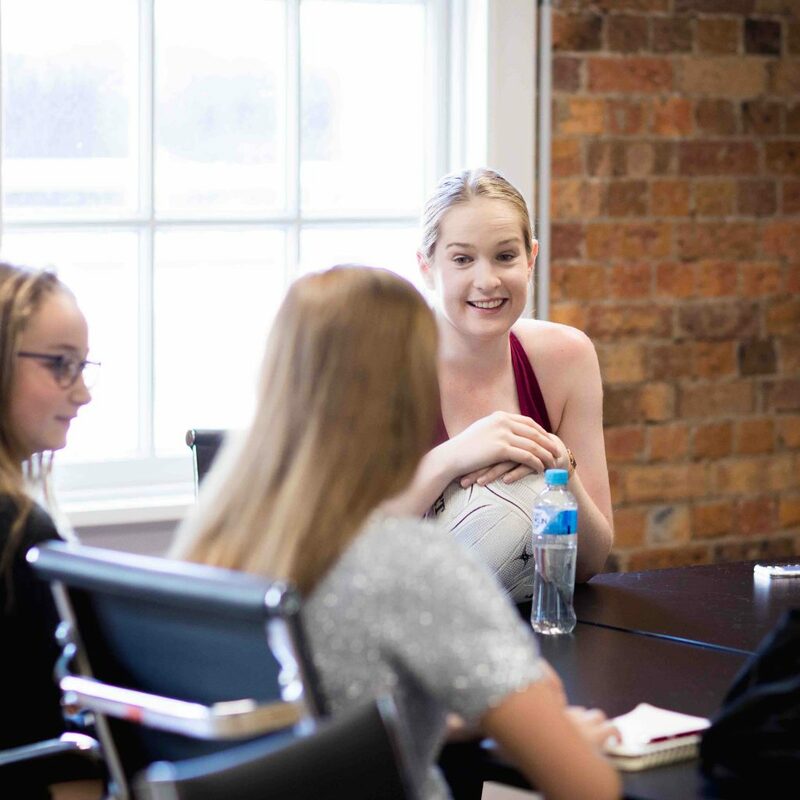 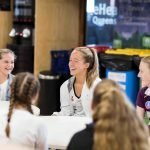 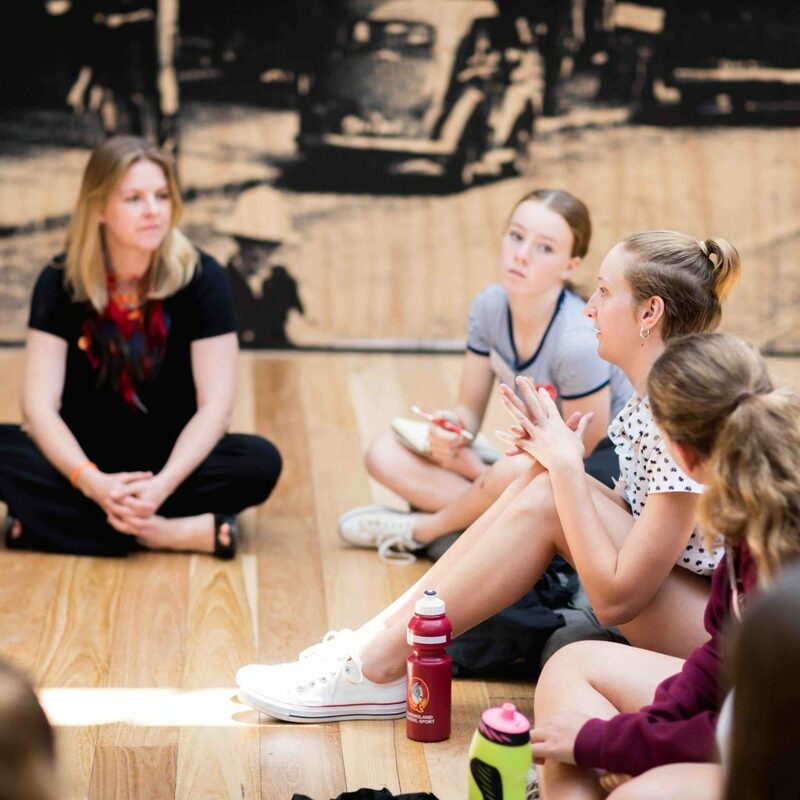 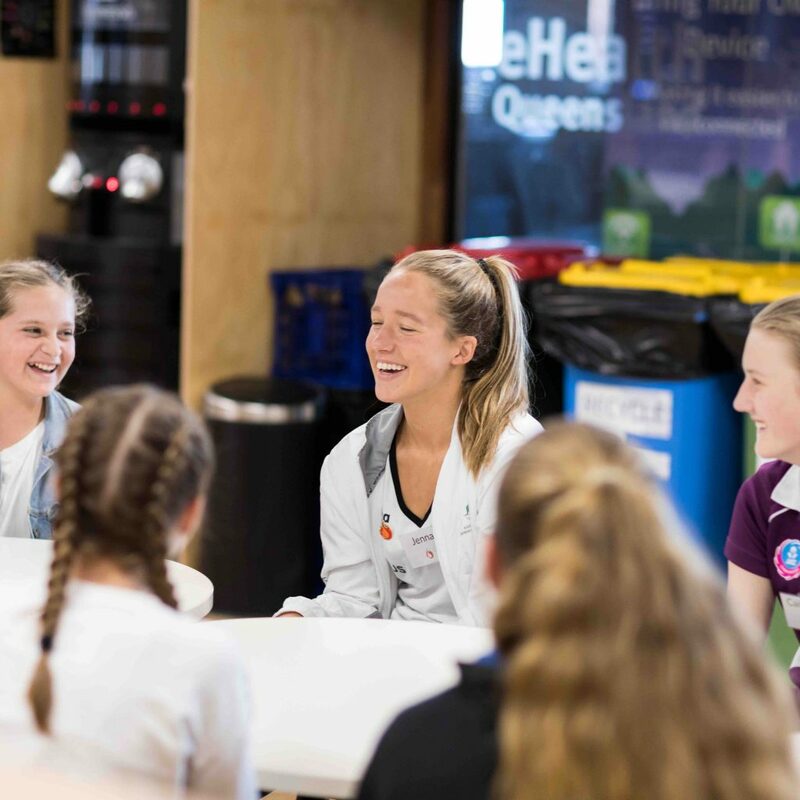 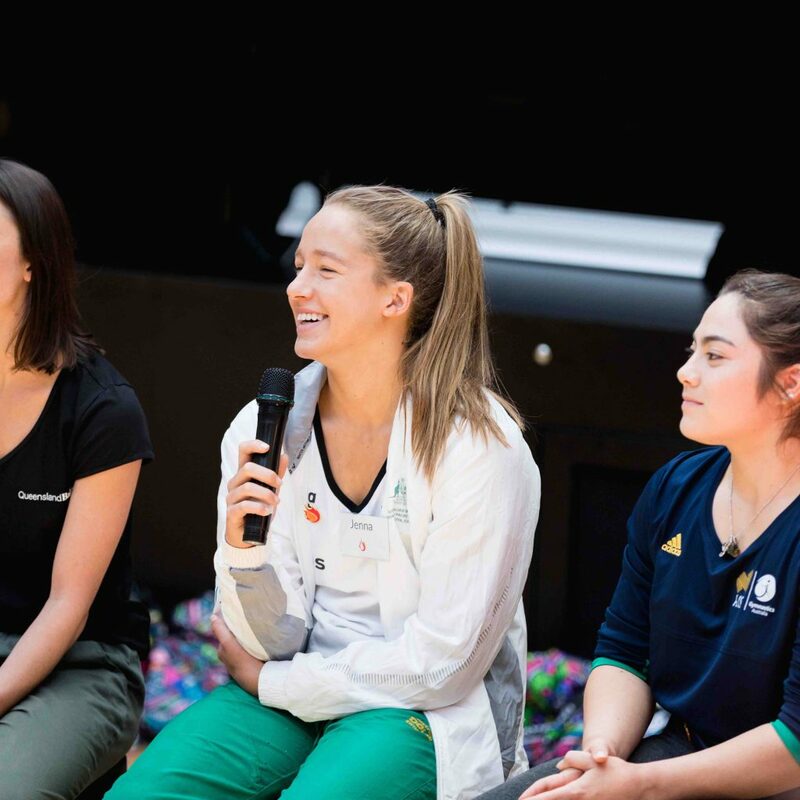 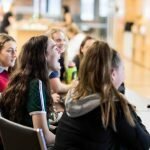 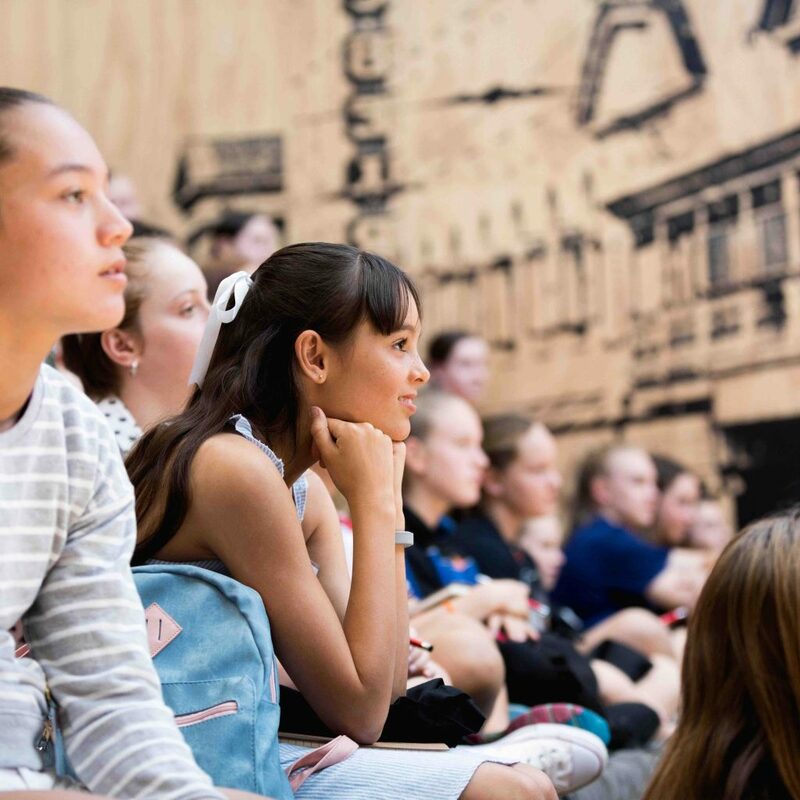 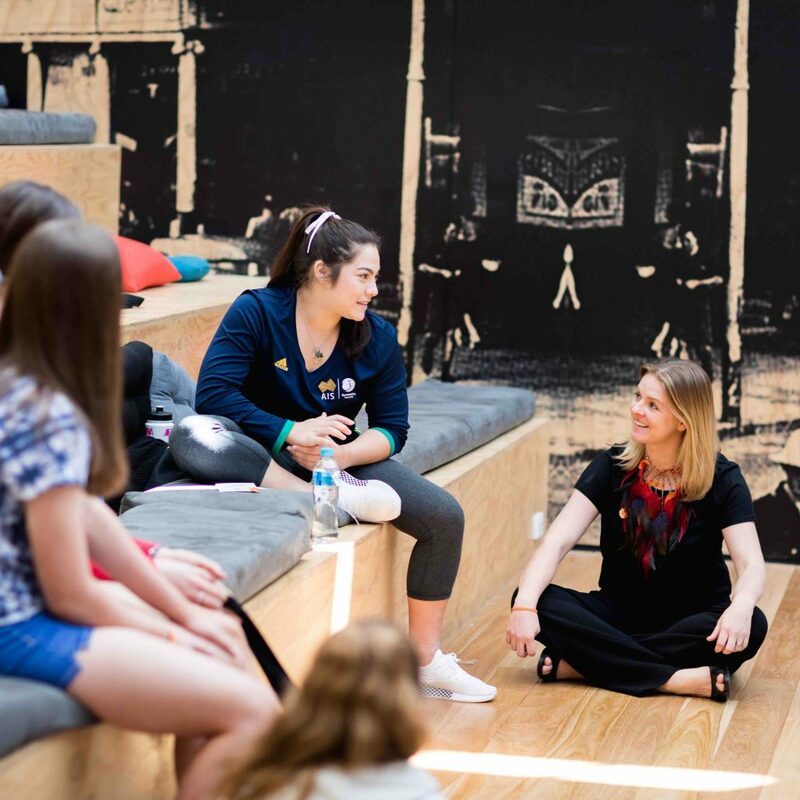 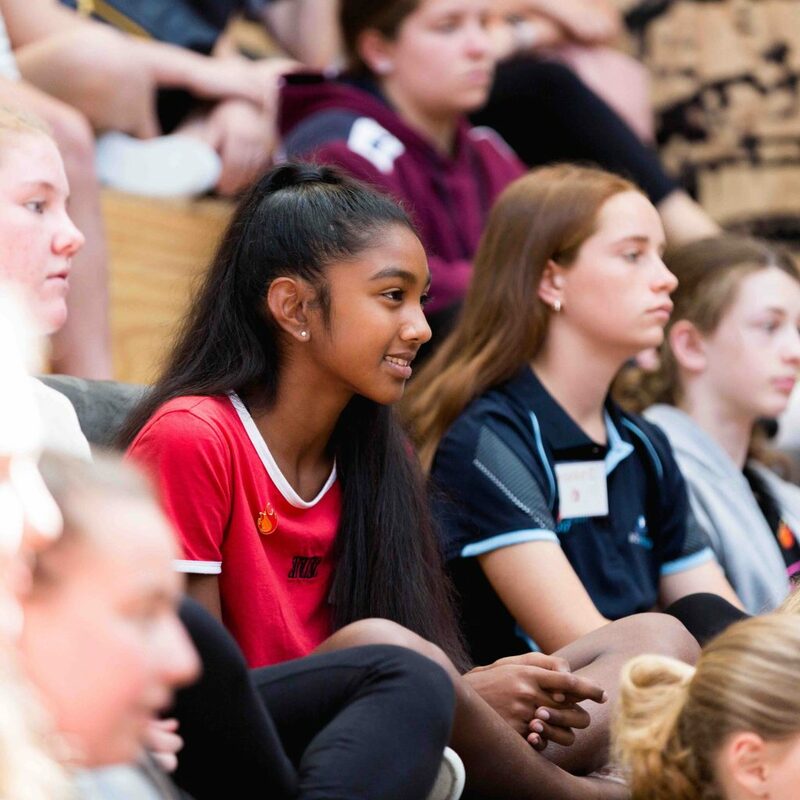 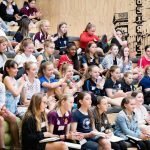 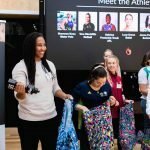 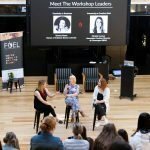 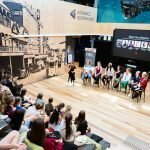 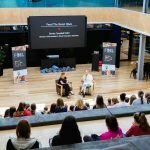 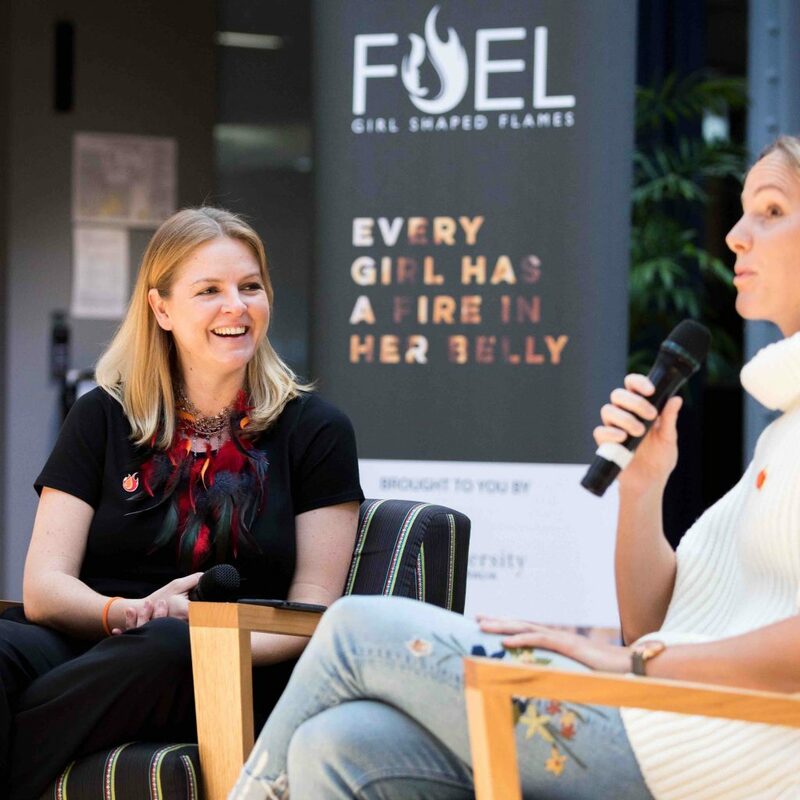 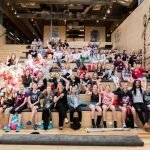 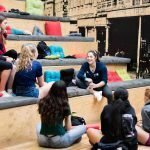 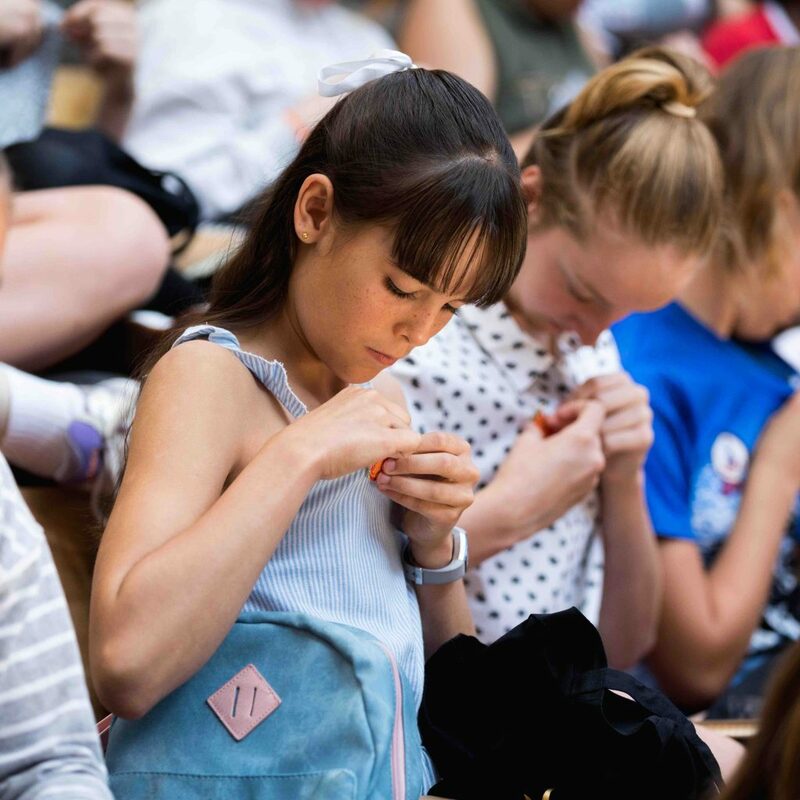 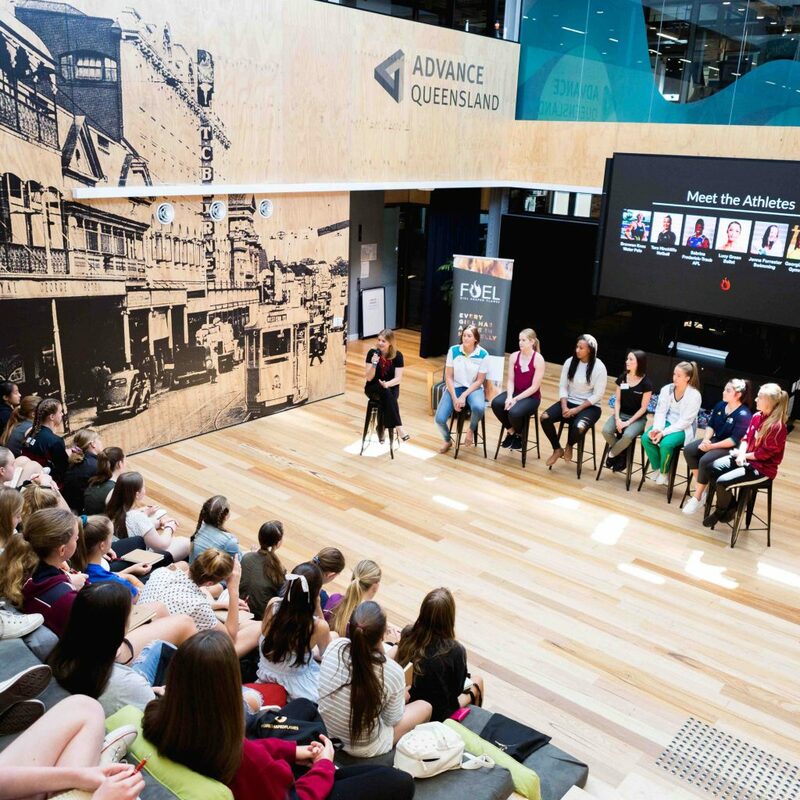 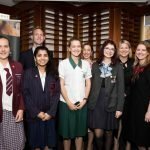 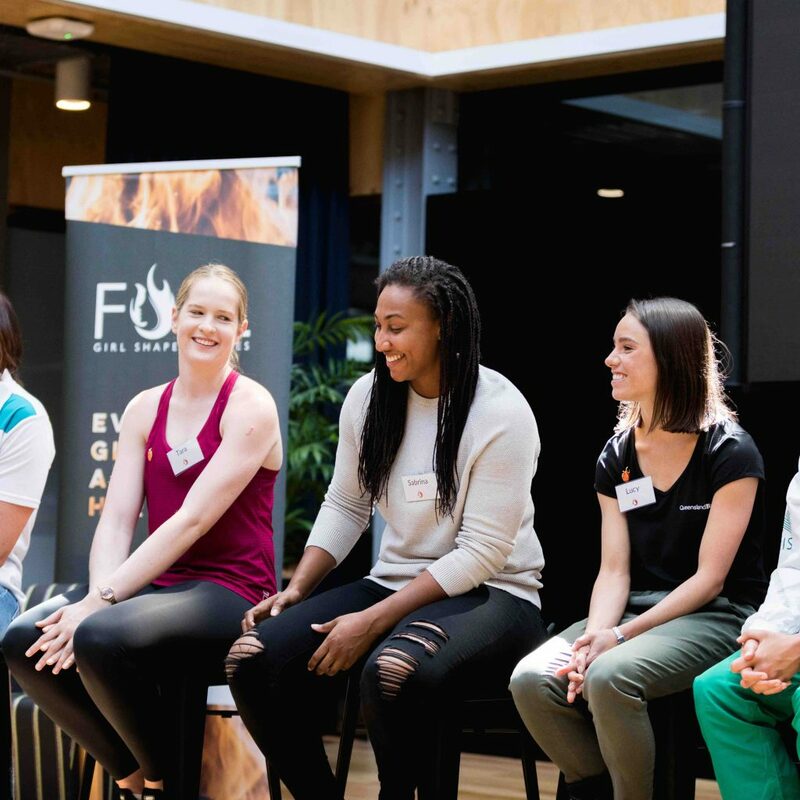 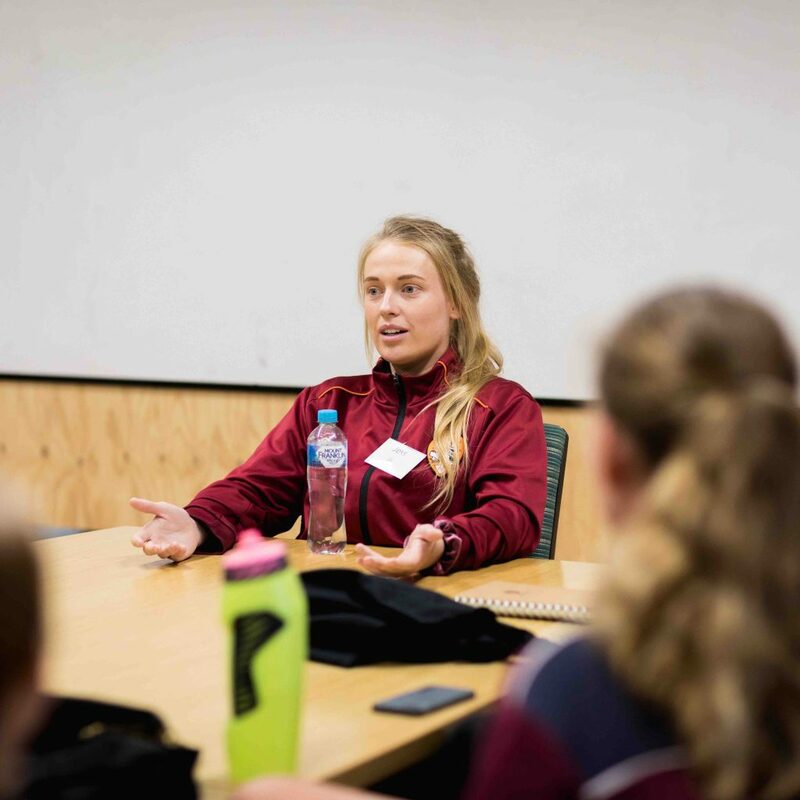 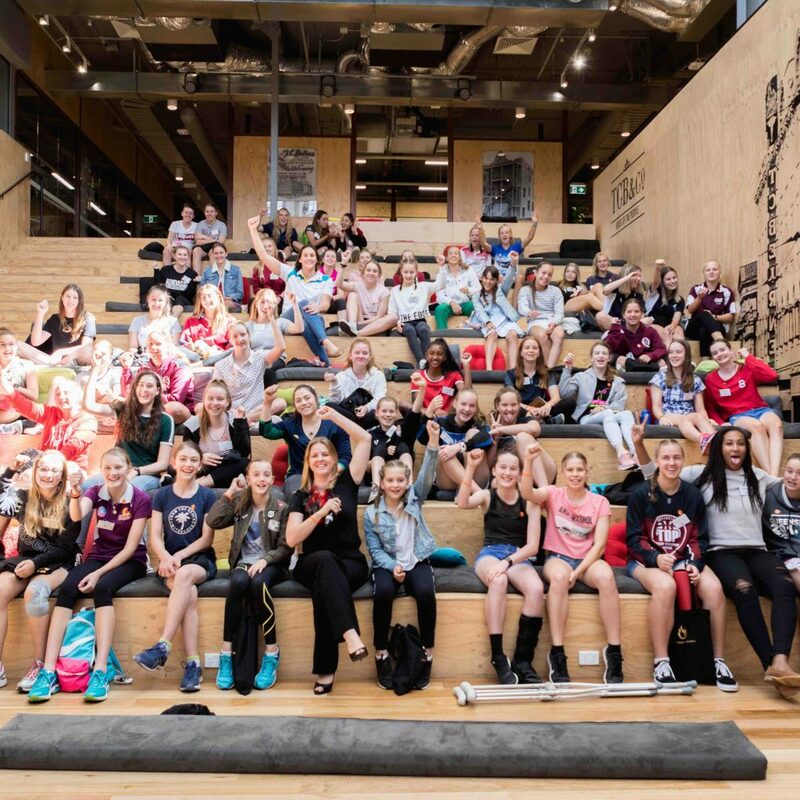 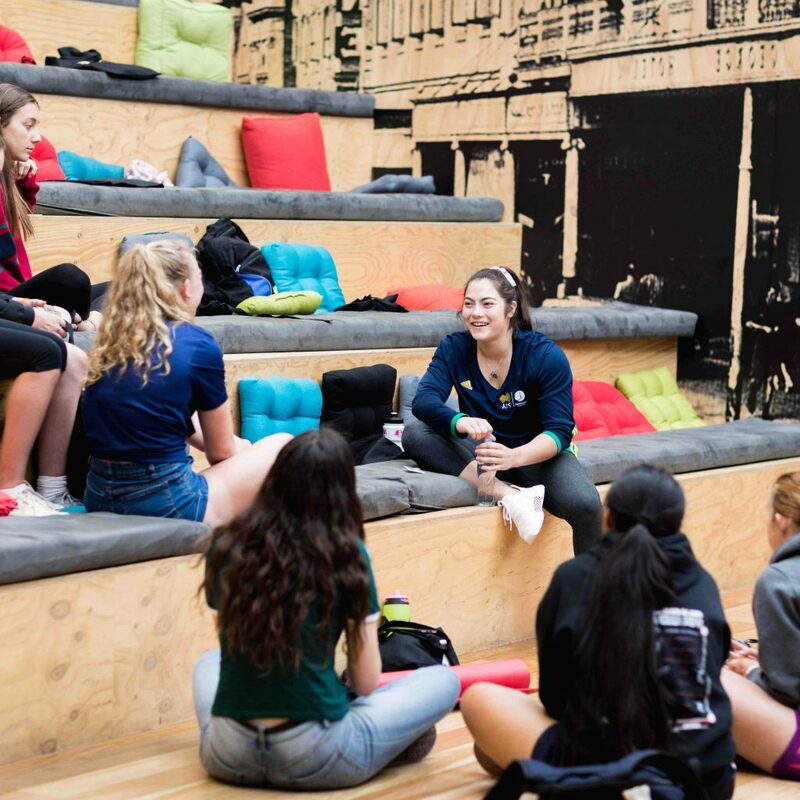 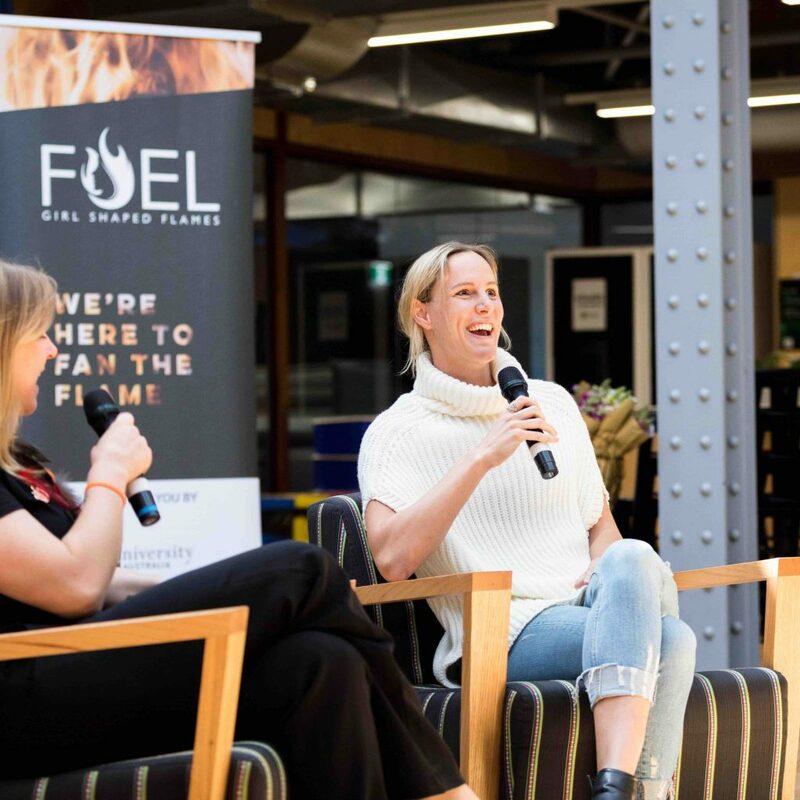 60 teen girls were inspired and moved by raw insights from 9 extraordinary Athletes and trainers who between them have decades of elite sporting experience in the always impressive Stadium at The Precinct. 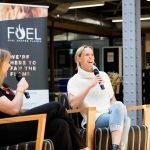 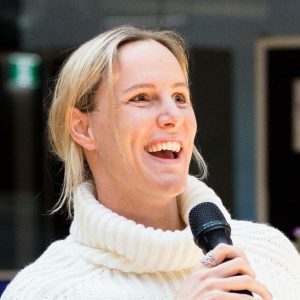 Bronte Campbell OAM, Olympic Gold Medal winner and World Champion (and arguably one of Queensland’s strongest swimming talents), kicked things off providing an endless stream of advice during our Feed The Beast Q&A, including behind the scenes stories from two Olympics and honest recounts of her own personal struggles with injury in recent years. 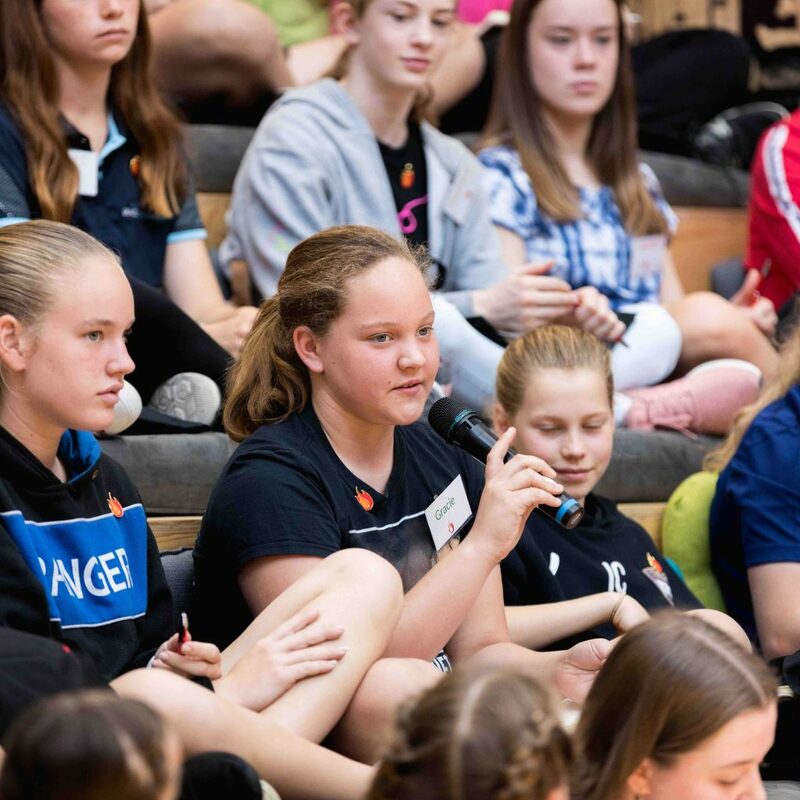 But it was when reflecting on one particular question from the audience – has anyone not believed that she could ‘do it’, – she coined the term of the day: #provethemwrong. 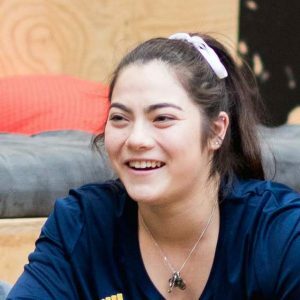 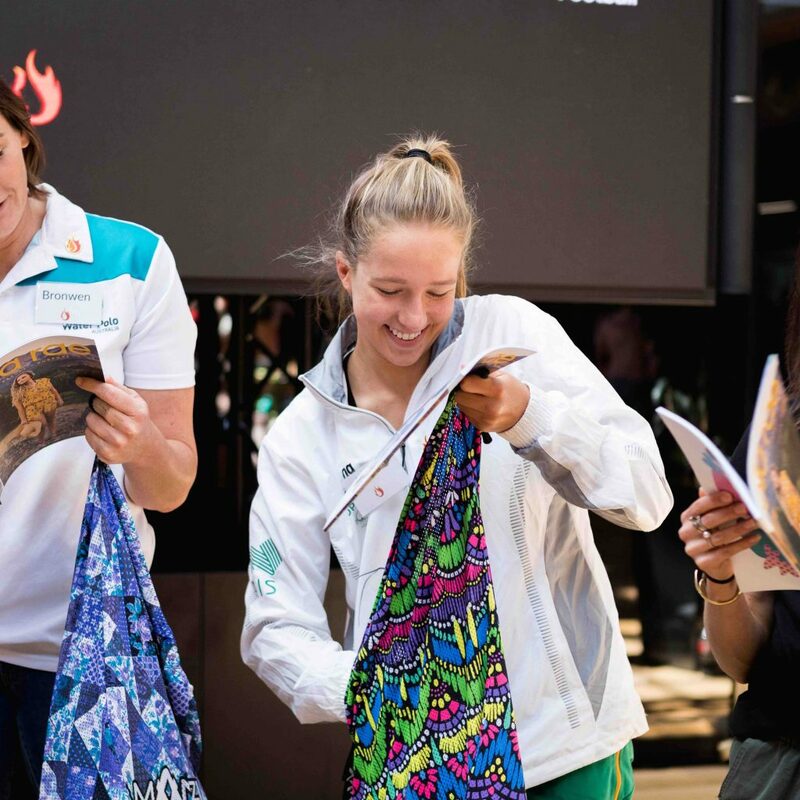 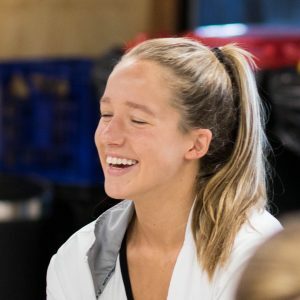 To hear of her determination to reach the highest levels of her sport, and witness first-hand the passion for swimming that still burns an inferno inside her was an experience we know will stay with the girls for a life-time. 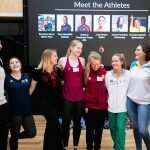 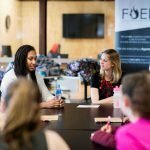 Next up was the Speed Networking Roundtable portion of the day, during which the girls broke into small groups and spent 15 minutes with each of 7 incredible athletes. 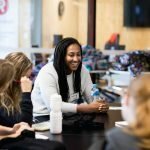 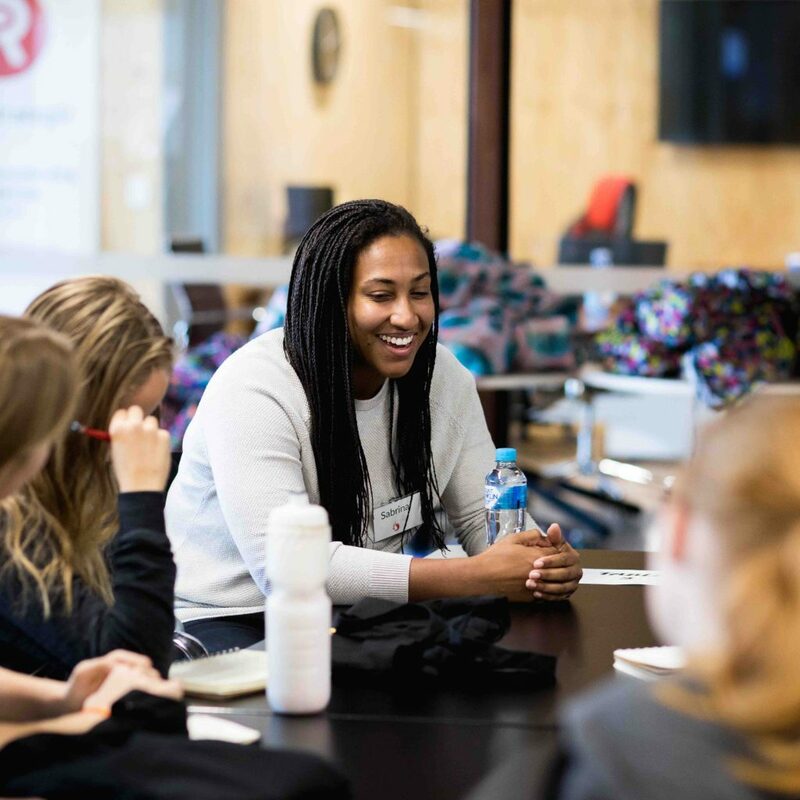 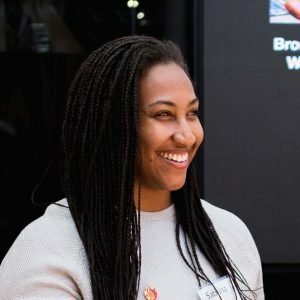 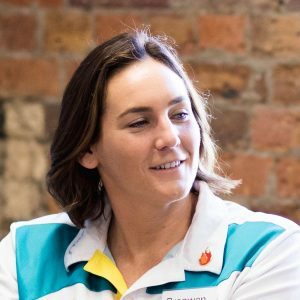 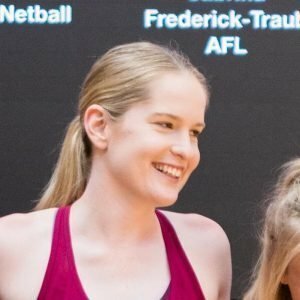 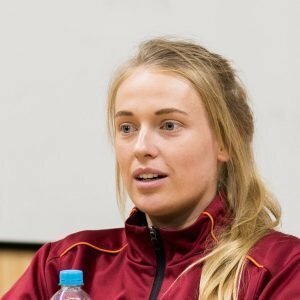 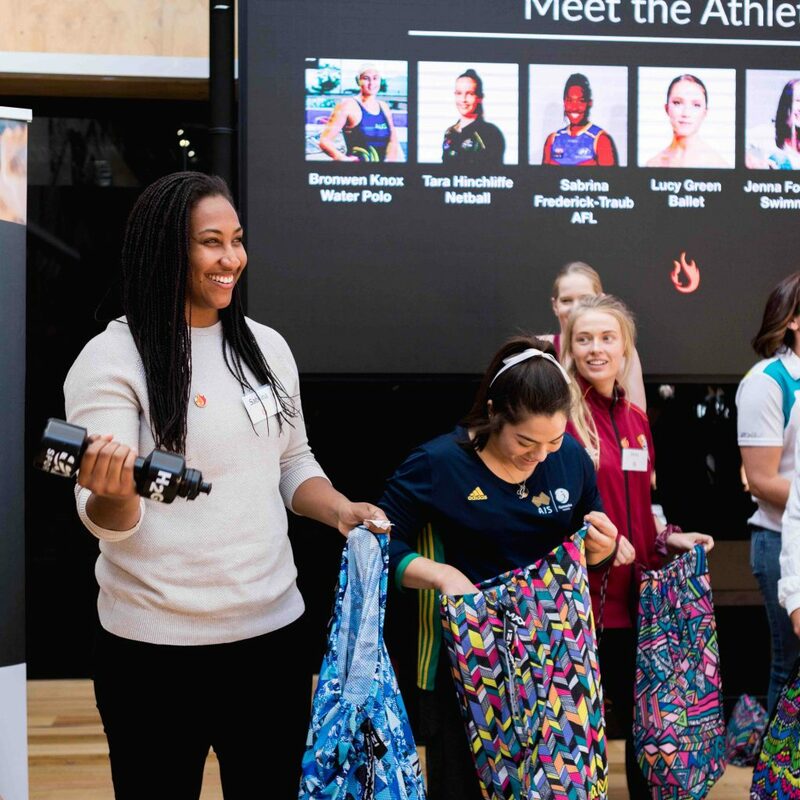 We discovered a fascinating start to women’s AFL from Brisbane Lions’ Sabrina Frederick-Traub, more stories of Olympic Glory from Water Polo’s Bronwen Knox (triple Olympian), got up close and person with #reallife ballerina Pointe shoes (!) 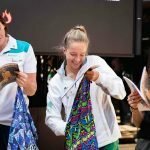 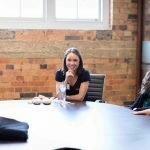 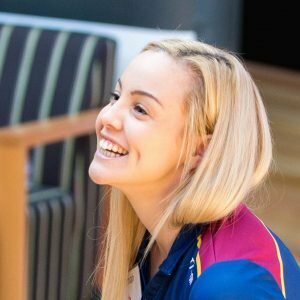 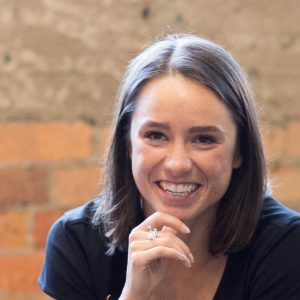 belonging to Queensland Ballet’s principal dancer Lucy Green, and discovered Comm Games medalist gymnast Georgia Godwin‘s tricks to staying focused on the balance beam. 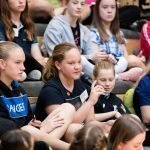 After a delicious lunch and a brain break we were back into it, learning about the perseverance it took for Tara Hinchliffe to finally get to play next to her netball idol Laura Geitz in the QLD Firebirds, understand the challenges of juggling work and international-level team sports with Jess Dillon from The Gap FC, and finally hear from someone going through exactly what the participants were themselves experiencing right now: from 15 year old Jnr Australia Swim Team member Jenna Forrester. 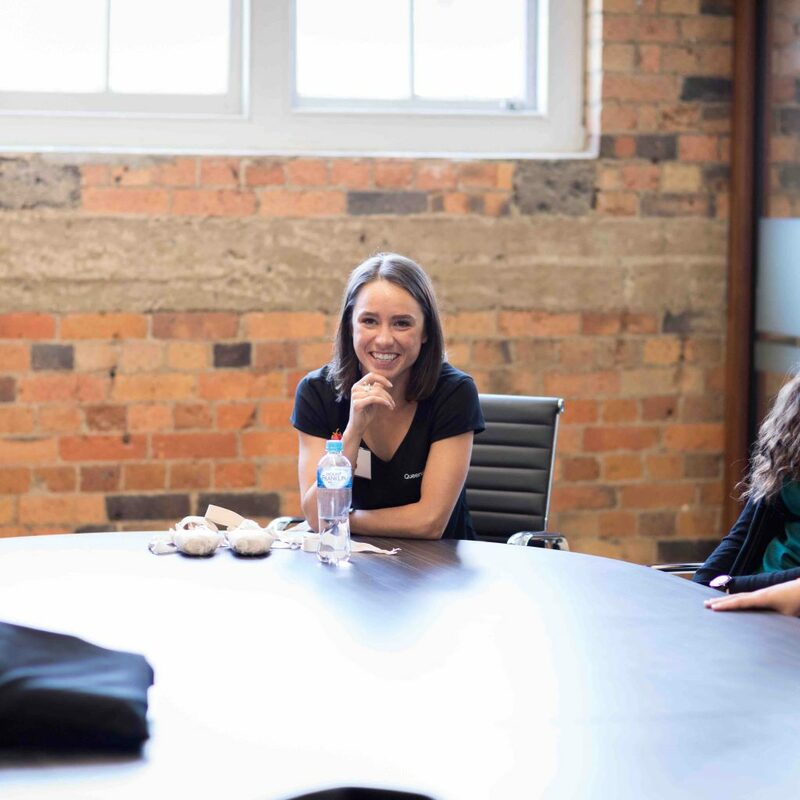 By this point the girls were torn between being completely exhausted (afternoon tea treats fixed that!) 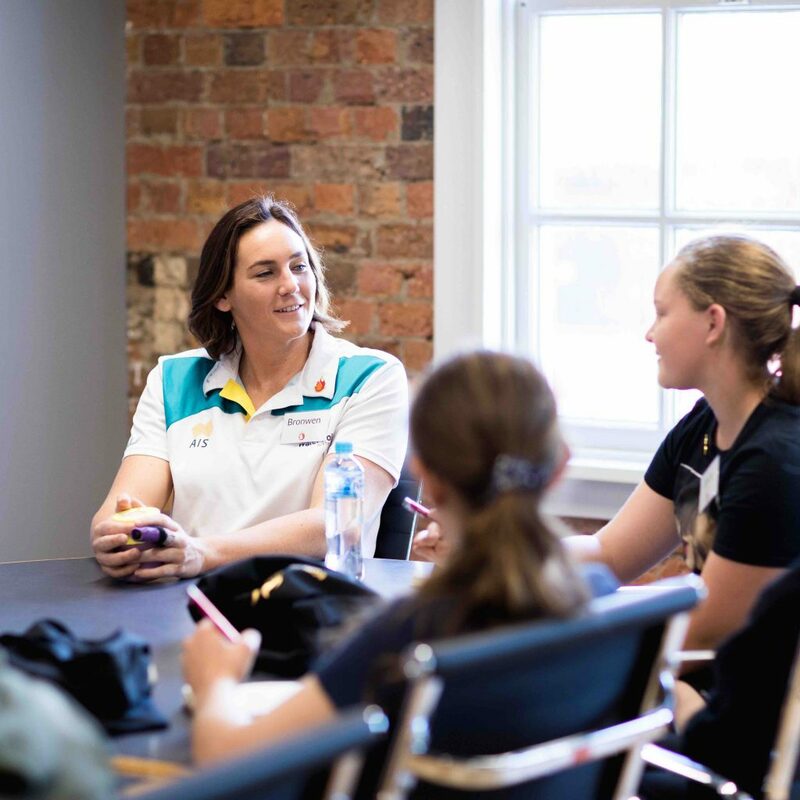 and bouncing off the walls with renewed motivation to pursue their sporting dreams and #provethemwrong. 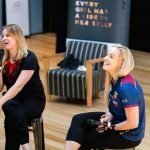 But the day was far from over. 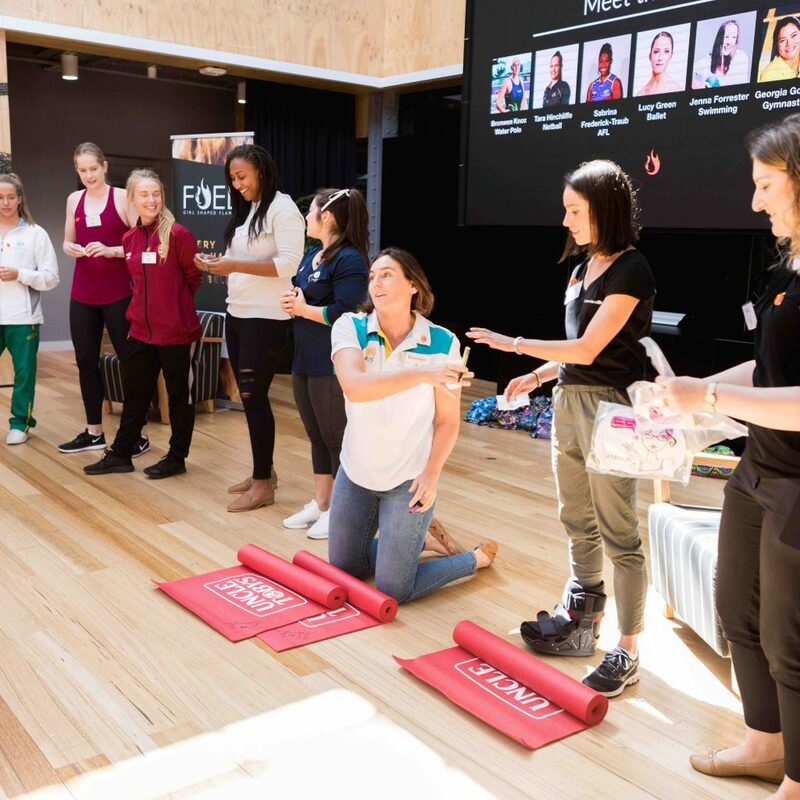 After a succession of prize draws thanks to very generous contributors Uncle Toby’s, Amanzi Swimwear and Popping Tags, we were straight into our Mental Toughness Workshop with Tiernan Gamble, physical trainer for the QLD Firebirds and Brisbane Lions Womens team. And holy moly, does she put those ladies through their paces! A fascinating exploration of the stages athletes minds and emotions go through across the different stages of a season (Pre, Comp and out of season) and how they correlate to non-sporting life challenges, as well as an exercise exploring resilience and training for improvement. All in all a brilliant day had by all! 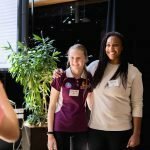 THE VOLUNTEERS! 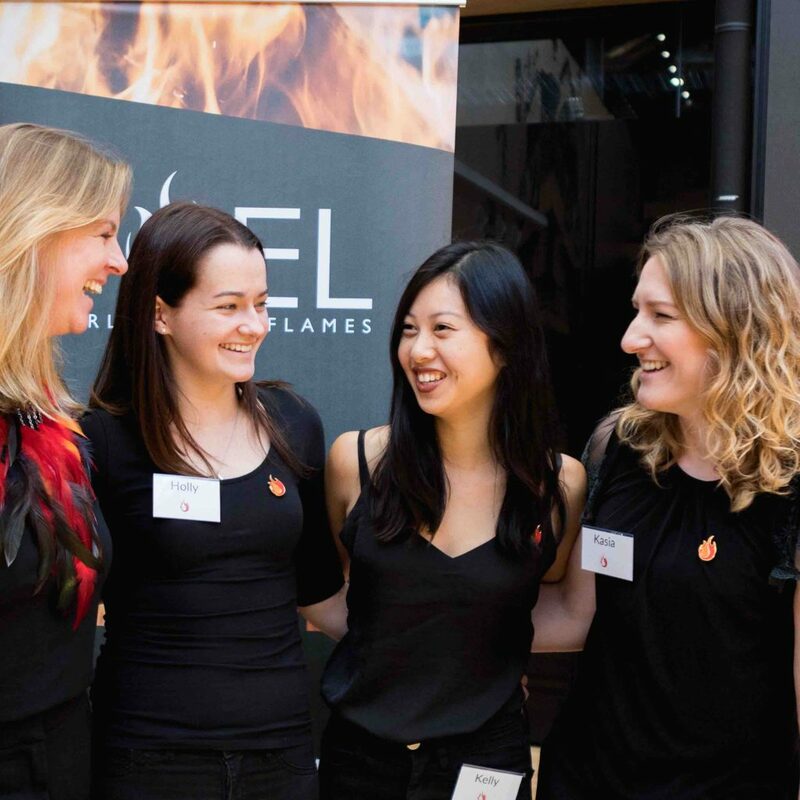 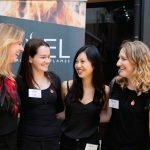 Kelly, Kasia, Ellie & Holly who worked tirelessly to provide a friendly, calm and supportive environment for the girls throughout, and an extra-special shout-out to Holly for being our Social Media extraordinaire on the day! Attendance Scholarship Providers: Cedar & Pine and Writer on the Road.